Plate Heat Exchanger were first Introduced in the 1920s. Now it is widely used in a great number of sectors like sugar industry, pharmaceutical industry, food processing industries.. etc . 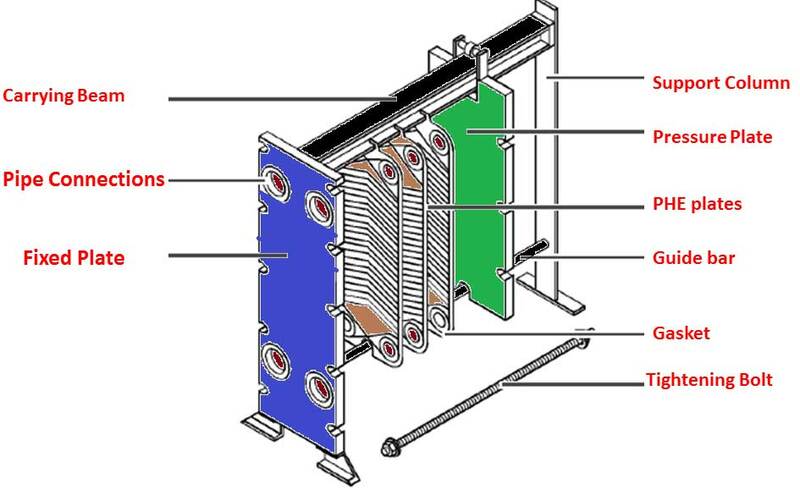 The plate type heat exchanger is a pack of thin plates arranged in a frame, so that the space between each alternate plate is open to the same fluid. The plates are corrugated, which gives them strength and helps promote turbulent flow. The plates may be arranged in a series of passes to achieve the correct liquid velocity and an acceptable pressure drop. Carrying beam: The top component placed between the fixed plate and supporting column upon which the PHE plates and the pressure plates are suspended. Fixed Plate: The basic component of the PHE frame. The fixed plate is an unmovable frame plate. Normally, the pipes are connected to this component. Support column: A fixed component of a PHE frame to which the carrying beam and the guiding bar are fixed. Pressure Plate: A moveable frame plate suspended at the carrying beam of the PHE frame. This frame compressed the PHE plates. Guiding Bar: Component that guides the PHE plates and the pressure plate at the bottom. Tightening Unit: The frame component for compressing the PHE plate pack. it consists of tightening bolts, tightening nuts and washers. PHE Plates and gasket: The plate pack is assembled between a stationary frame plate and a pressure plate, and compressed by tightening bolts fitted between these two plates. The channel plates and the pressure plate are suspended from an upper carrying bar and located by a lower guiding bar. The heat exchanger plates and gaskets are essential components of the PHE. The plates are sealed with gaskets, which direct the two fluids into flow paths. 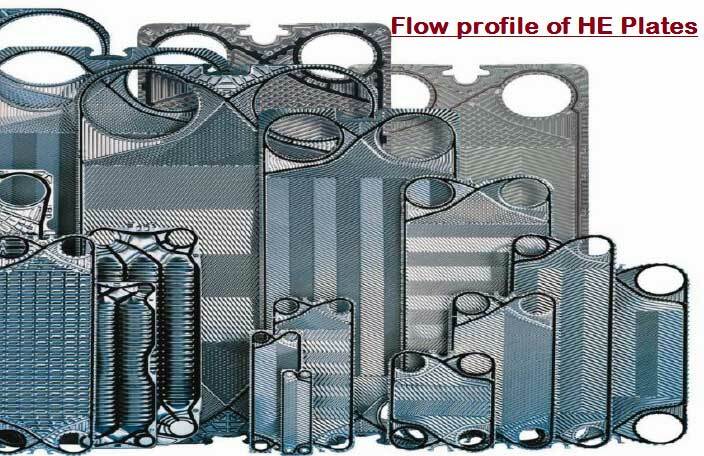 The Heat exchanger plates have horizontal and vertical profiles, which are used individually or combined. They are used for clean media with a low viscosity and also for high working pressure. The gaskets of this product group can be fixed with adhesive. The most common gasket material used between the plates is EPDM, ( Ethylene propylene-diene monomer ) which has a temperature limit of 160 oC. 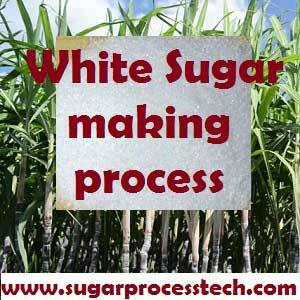 Thus it is suitable for all juice heating duties in sugar process. A series of contoured plates with transfer ports from a pack of flow channels in the PHE. The heat exchange media flow through these flow channels in alternate channels. Single-pass PHE: The standard design of a PHE with two flow-through media. Usually a single-pass PHE, all of the the feed and discharge pipes are connected to the fixed plate. i.e One side connected inlet and outlet of the both medias ( heating and heated medians ) and completely dummy is provided to other side of the plate. 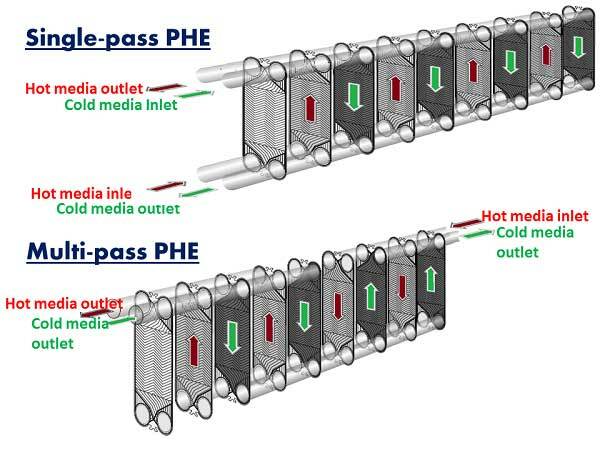 Multi-pass PHE: A special design of the PHE with more than two flows through media. With this type PHE design, complex heat transfer tasks are combined in one PHE. In this design the connection pipes are then attached to the fixed plate and to the pressure plate. Generally the Multi-pass may demanded while required close temperature difference between heating and heated medias. The plates material will be take according to the application and generally made-up of SS316 and SS304. The thickness of the plate in the range of 0.3 mm to 1 mm. Generally for narrow gap PHE consider 0.3 to 0.6mm thickness and for wide gap PHE consider 0.8 to 1 mm. The “ Narrow gap” PHE design, incorporating a maximum gap for travel the media is about 4 to 5 mm. However a “Wide gap” PHE with a gap of 6 to 16mm. The wide gap PHE used like raw juice and plate Evaporator applications. (Raw juice contains small pieces of bagasse fiber and it may obstacle the flow and in evaporator material having viscosity and scaling nature ). These heaters normally practiced Clean-in-place ( CIP ) method used for periodical cleaning. In CIP process in which the flow channels of the closed the PHE are flushed with specific cleaning solutions like caustic, soda ash, low concentrated acids. Juice velocities between the plates usually lie between 0.6 and 0.8 m/sec. However high turbulence is achieved which promotes heat transfer but also increases pressure drops. Heating press water in diffuser plant. Heating limed juice or carbonated juice. Heating syrup for syrup clarification system. Heating clear liquor or melt. The HTC value of plate heat exchanger can be depend upon the following factors. Velocity in the heater of the both medias. Flow profile ( i.e design of the PHE plates to travel the fluids or vapours ). Geometry of the heat exchanger and the properties of the fluid like viscosity, specific heat & heat conductivity. 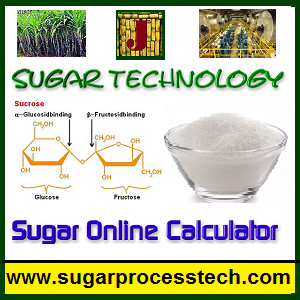 In sugar process industry the Heat Transfer Coefficient ( HTC ) value lies in between 1500 Kcal/ hr/ m2/oC to 3000 Kcal/ hr/ m2/oC. 1. Space requirements and weight are lower as compared to shell and tube design. 2. With the modular design of the plates, erection and installation can be done quickly. 3. Heat transfer coefficients (HTC ) are higher. 4. The retention time in heater is less when compare to shell and tube. 5. The thermal inertia is lower, giving a quicker response and facilitating close temperature control. 6. Quick and easy dismantling for cleaning and control operations. 7. A closer approach temperature then that used in shell and tube heaters ( It can be achieved 2 to 4oC. approch temperature between heating and heated medias). 8. It is often possible to increase capacity ( heating surface ) by adding additional plates depending on the size of the frame. 1 . Mechanical cleaning not preferred frequently, because the gaskets are easily damaged in cleaning process. So Chemical cleaning is essential. 2. Gaskets need to be replaced occasionally and this is an expensive maintenance item. 3. The small opening between plates are prone to blocking with extraneous particles. So in operation required periodical reversing of flow is necessary. According to some fluid properties, reverse flow required frequently. So it may be effect the process stream. 4. The estimation of pressure drop across the PHE and HTC value are some what difficult to users. Generally it is calculating by suppliers only. Some times the suppliers have less knowledge of properties of fluids and installation conditions, it may chance to fail the serves of its duty. Heat Transfer Coefficient of Liquid -Liquid Tubular Heater Calculation| HTC. 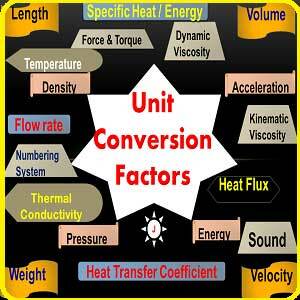 Unit Conversion Factors and Tables for Engineering Design Calculations. 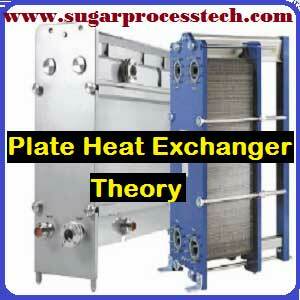 We hope this page helpful to learn basic concepts regarding Plate type heat exchanger. So we requested you please give feed back, comments to improve this and don’t forget to share it.